October marks the spooky season of Halloween and whilst you may be answering the door to trick or treaters, make sure it’s firmly locked when you’re not, as there is a 160% increase of burglaries during the Halloween period. However, October is also National Home Security Month! With that in mind, we have collated our top tips to keeping your home safe from any unwanted visitors this month. Ensure your doors and windows are locked. As obvious as it sounds, the easy mistake of forgetting to securely lock up can be an open invitation to intruders. Whilst you may not be able to enter without a key, this doesn’t mean you are safe from break-ins. Keep your expensive belongings out of sight. Flash cars on the drive signal that the belongings in your home will be of expense too so, if you can, keep it in the garage. Other things like jewellery and technology inside your home should be kept away from windows and not visible to any snoopers. Always make sure it looks like someone is home, even if you aren’t. Burglars may be watching your home and noticing the lack of presence inside it when you’re away for a period of time. Invest in timer-lights so your interior lights automatically come on during the darker evenings and try and have a family member or friend move the curtains and blinds inside every now and again – this tricks people into thinking you are in fact home. Put in place a home alarm system or CCTV cameras. They are an excellent visual deterrent as well as a safe option for your house. They show a potential burglar that you are in fact protecting your home with the correct measures in place, as well as having the evidence to use against them if any crime is committed. These are another great visual deterrent for your home. 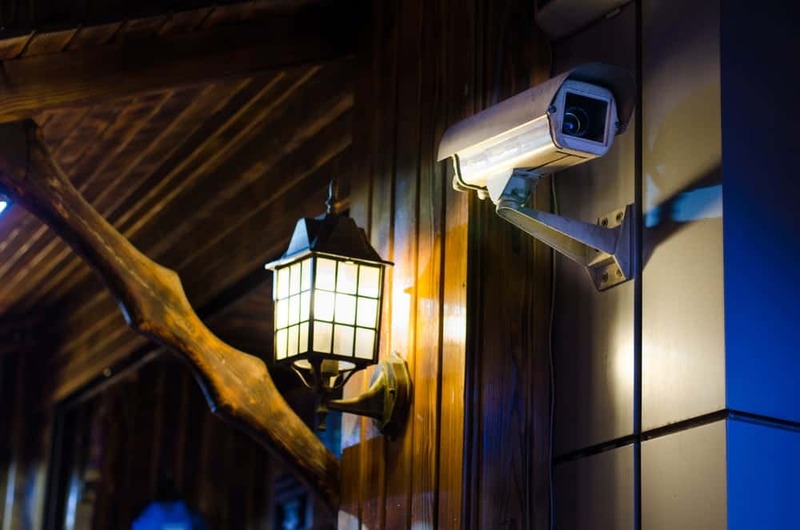 As soon as any movement is detected on the property, the lights come on and therefore all attention is diverted towards any trespassers; alerting you of their presence deterring from approaching further. Deterring uninvited guests this Halloween doesn’t have to be difficult. Take into consideration our tips above and you’ll soon have a home that’s made only for treats, and not tricks.